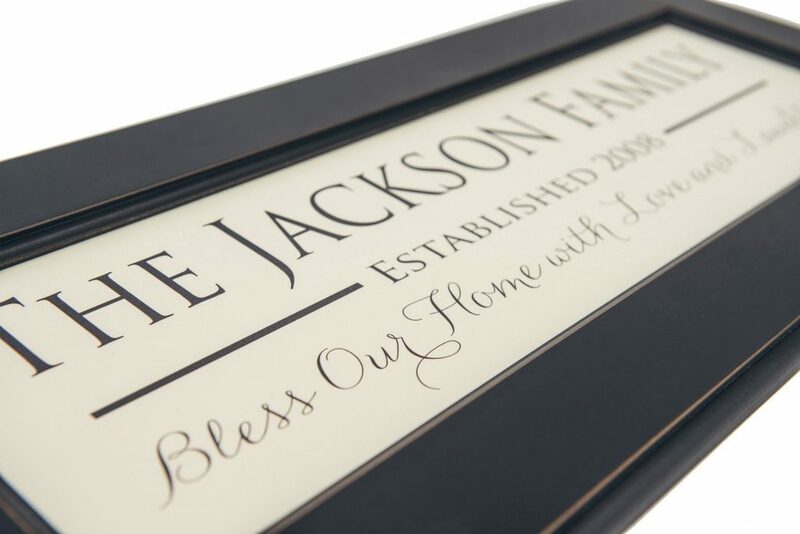 Family Name Signs with a frame are a wonderful addition to your personalized name sign home decor. 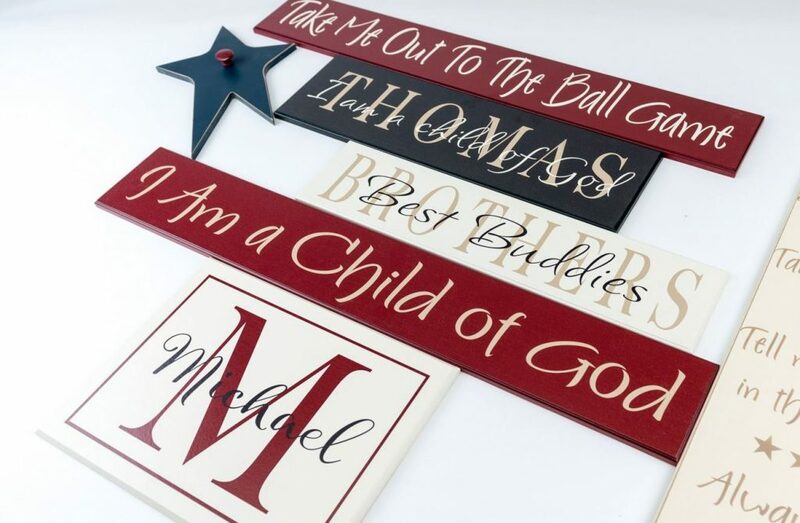 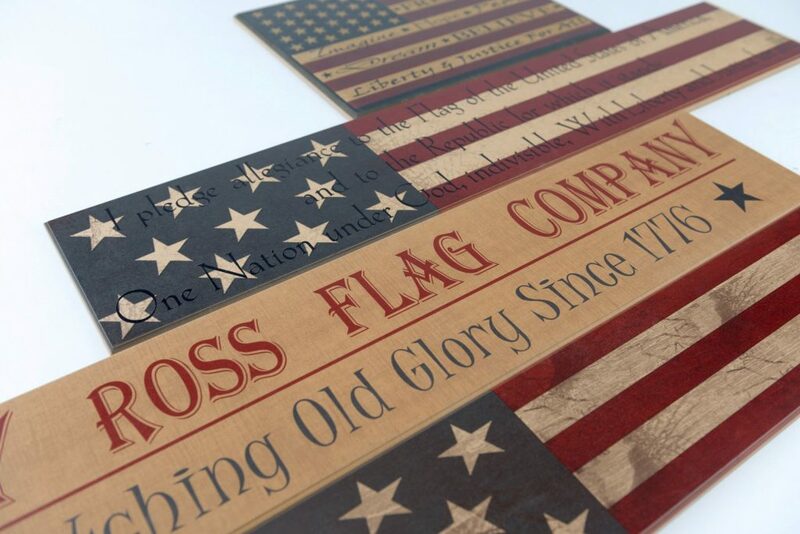 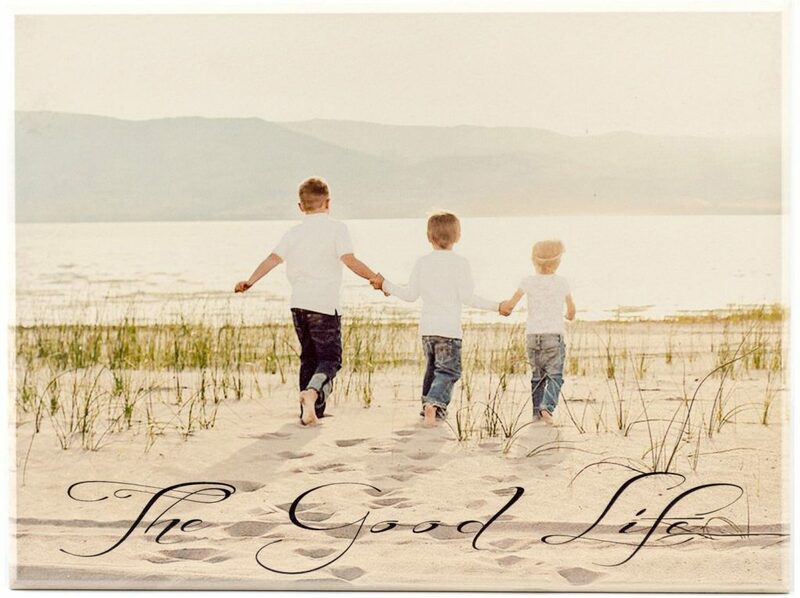 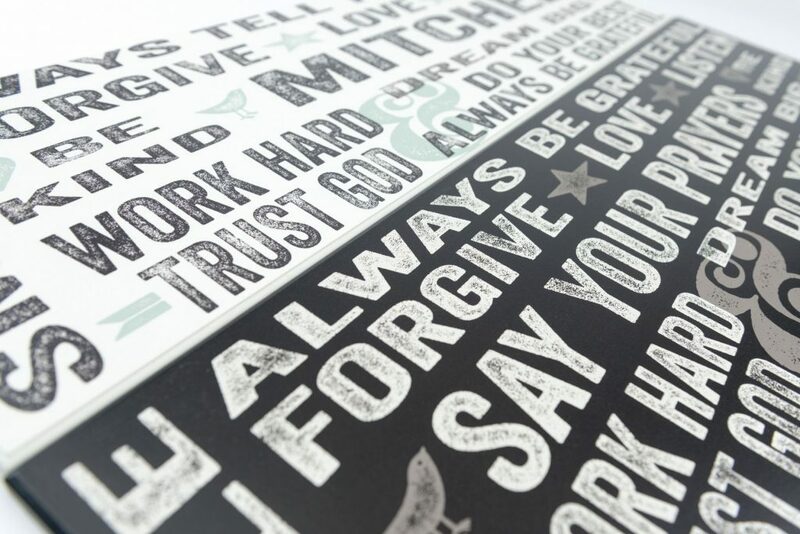 American Woodcrafts family name signs are versatile and will add just the right touch to your home. 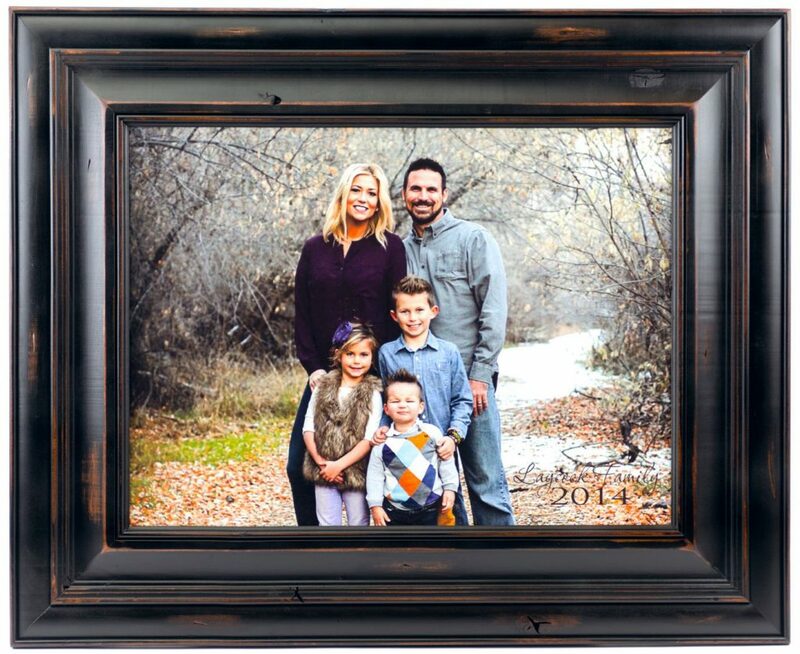 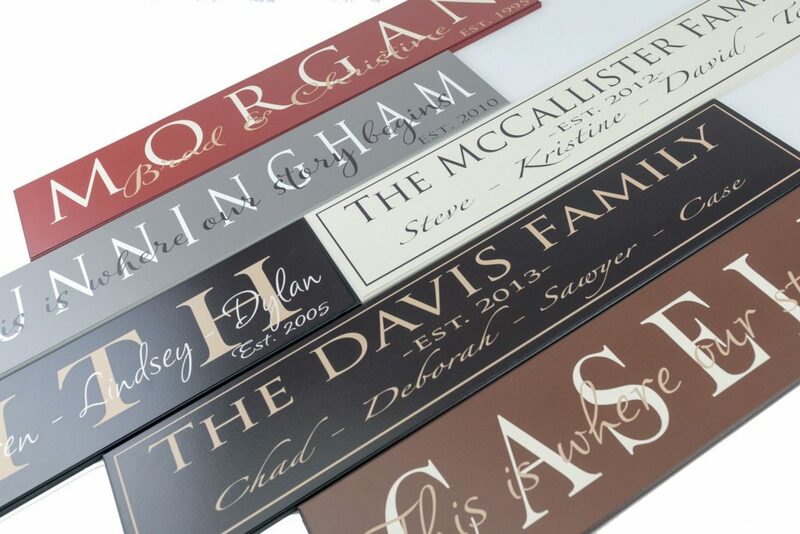 These are personalized wood name signs that are framed in a beautiful wood frame. 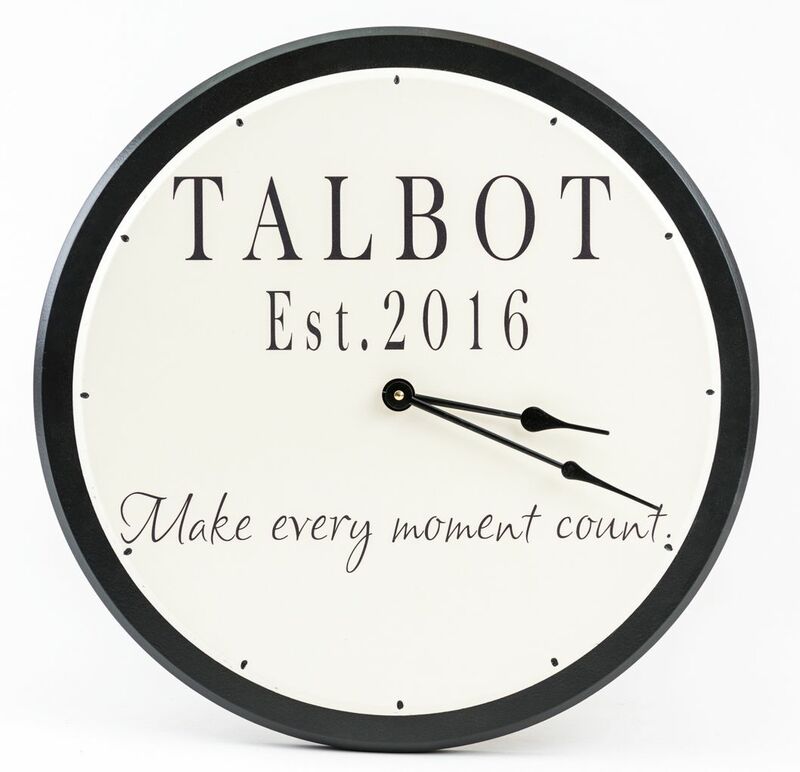 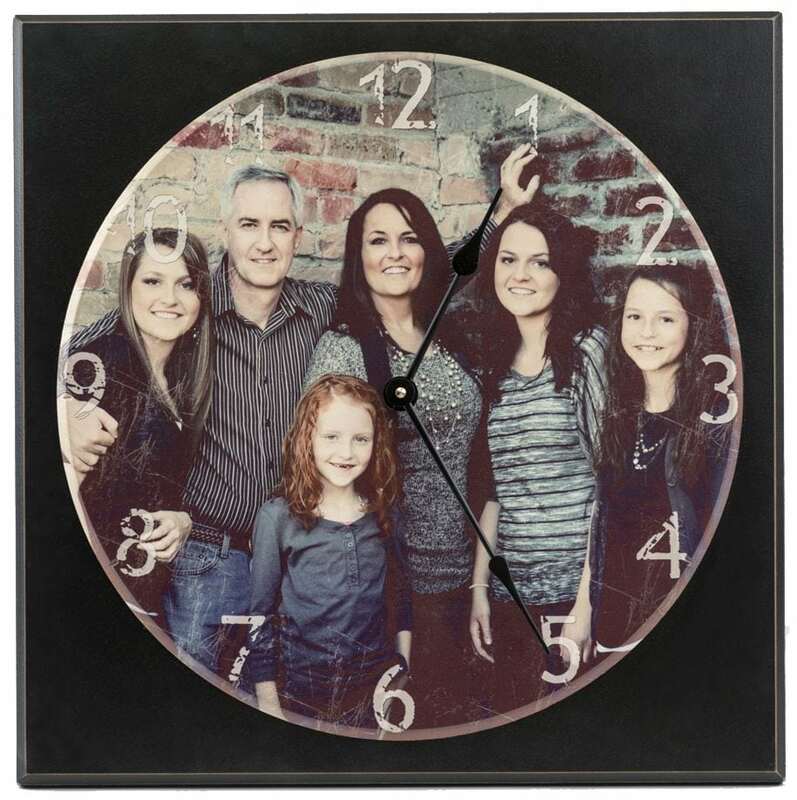 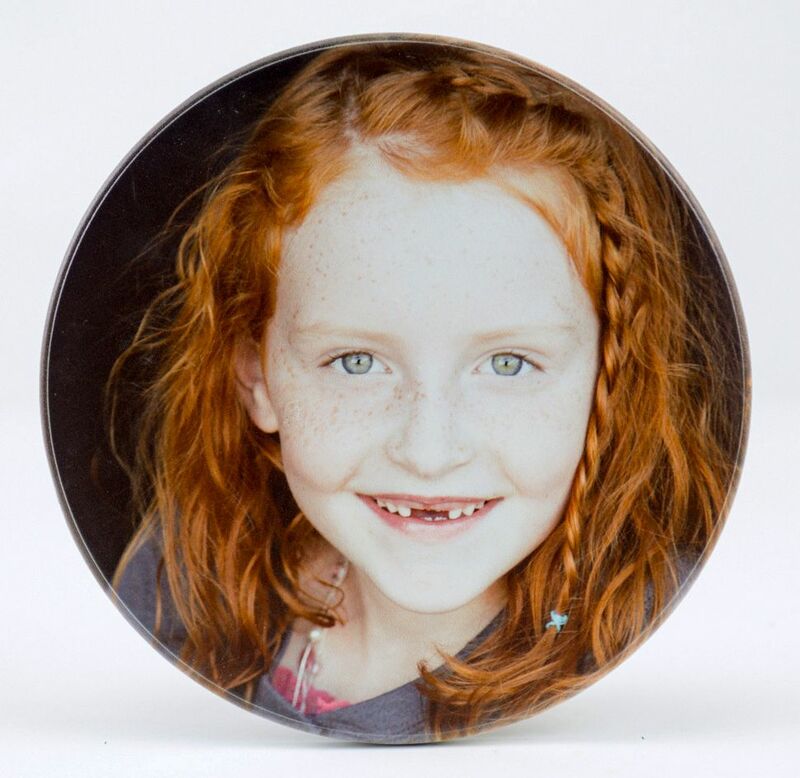 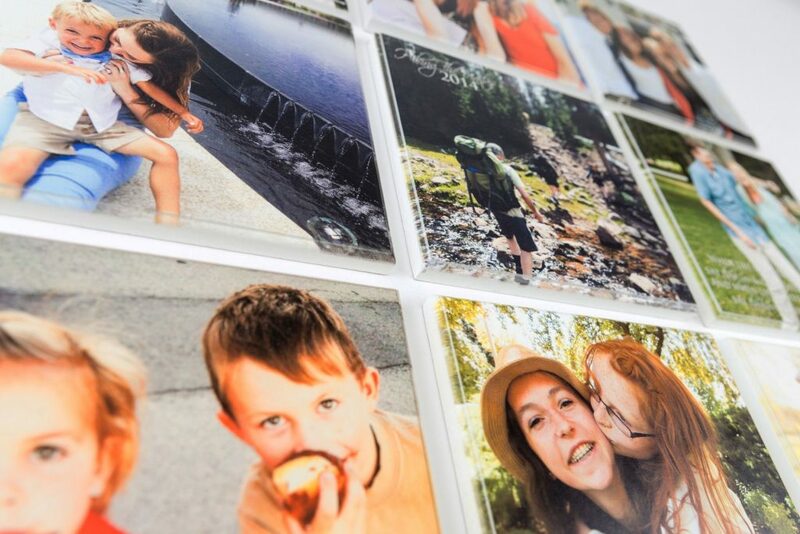 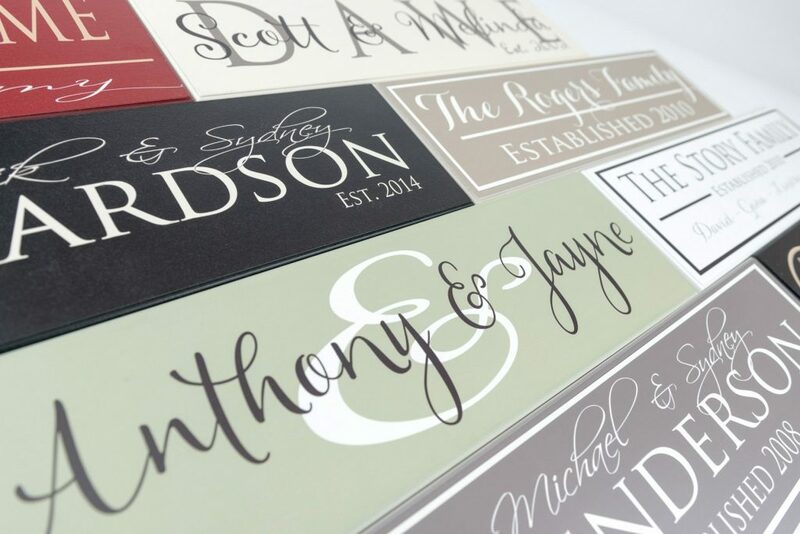 Choose one of our original designs and add the personalized information. 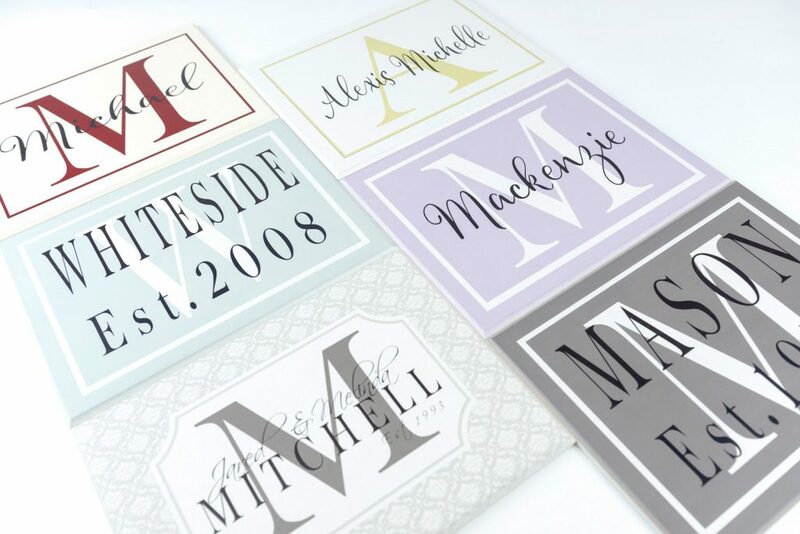 Choose your colors from our extensive color palette to get your perfect color. 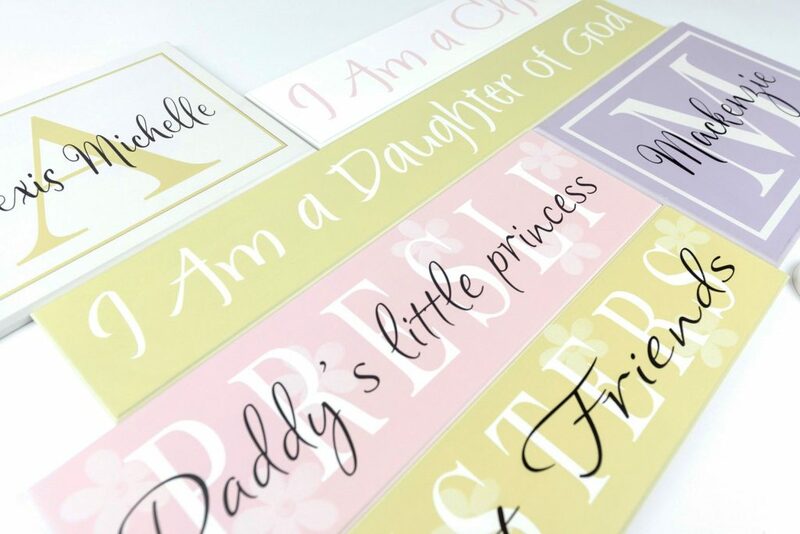 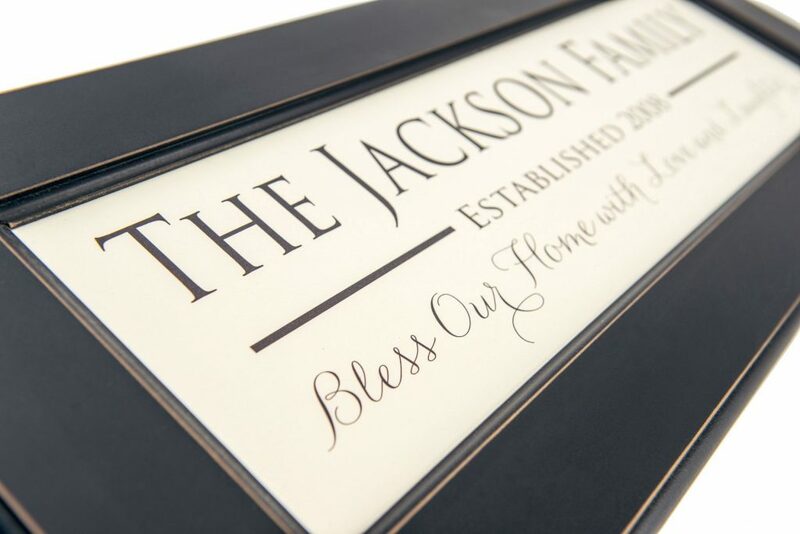 Our wood framed family name signs come in two large sizes to allow for versatility in your decorating. 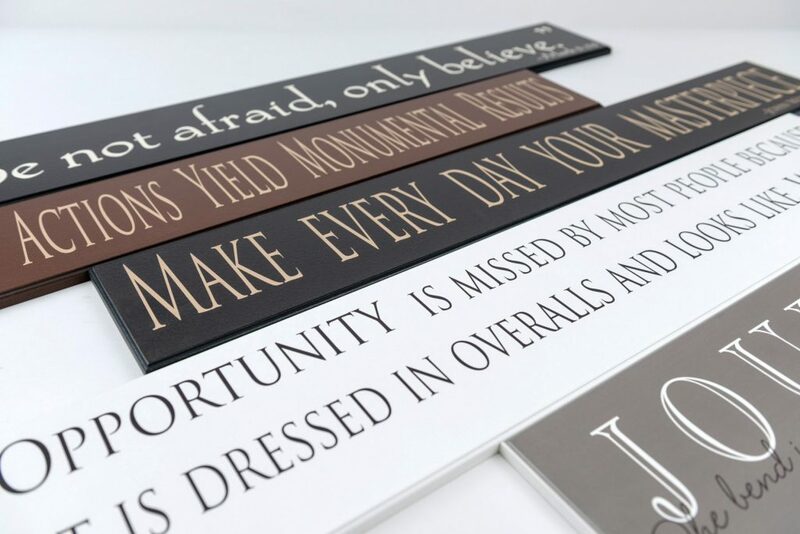 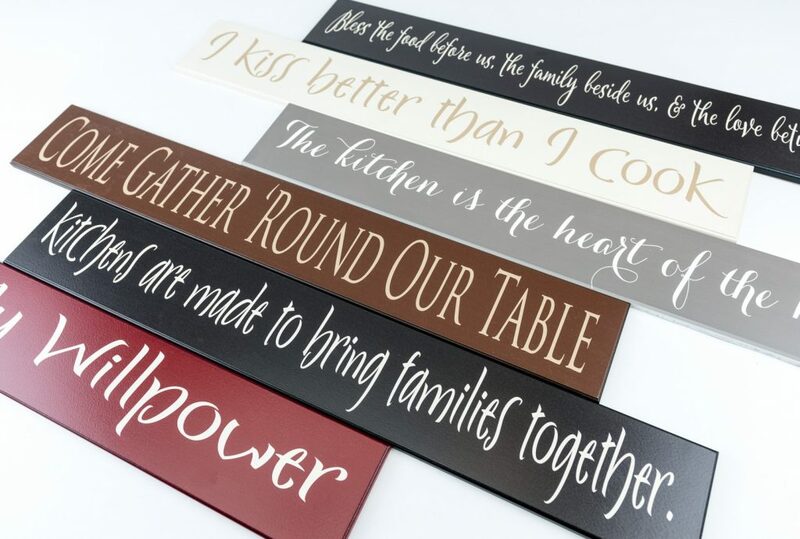 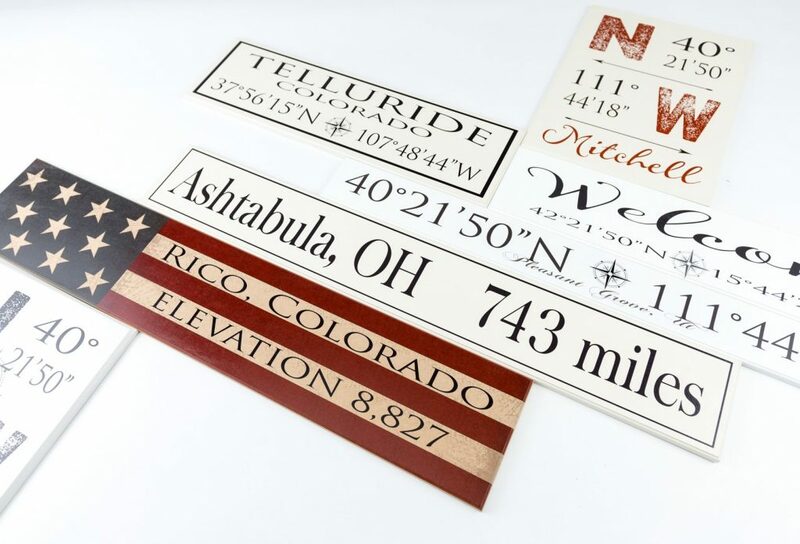 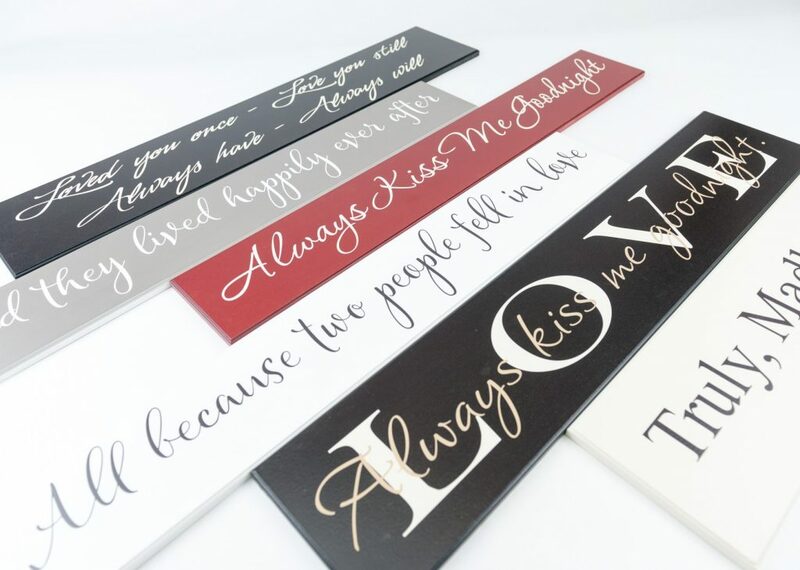 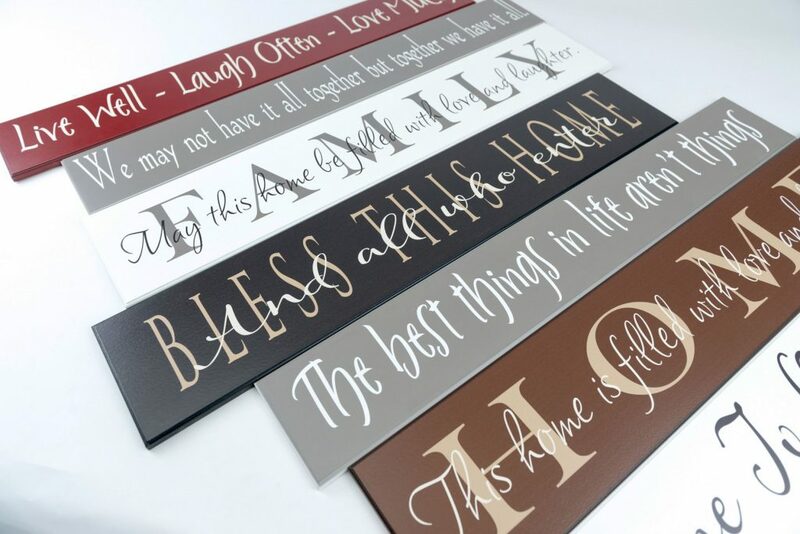 These signs are large enough that they make a great statement piece on their own, yet they look fabulous in a grouping of other pictures and signs.